Two pieces of cord and some rubber and you have a UNEEK shoe. I was set back for a second when I came across these, because I had never seen shoes like this and wanted to give them a try for myself. They are made from two cords and a very nice rubber sole. 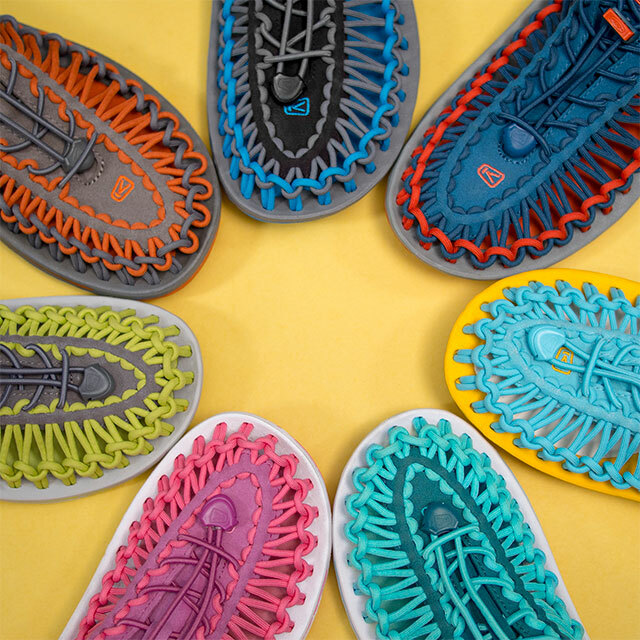 The uppers are just that, non-stretch cord with a water-resistant center (polyester braided cord with nylon core) and a microfiber piece or tongue down the center which wraps around the back of your foot, much like a sandal with a drawstring to snug them nicely around your feet. The sole has a microfiber center and anatomical rubber sole that has razor siping for traction when you want to go off-road. These aren’t just made for everyday beach wear, they also have the support in the mid-sole to allow you to go off-road. I have a somewhat high arch and found the soles gave my feet a lot of support during the day. There is nothing typical about these shoes. They are really nothing more than cord with a rubber sole, but the ingenuity brings the two together very well. I found it difficult to look at these shoes and say what I would do differently. The shoes are so unique and I find them comfortable. They stretch to form to your feet in a short amount of time. The no tie laces are easy to put on too. Just give the laces a tug up to the drawstring to snug them up. They stay snug all day. At this time I have not had them long enough to see if anything breaks down with wear. After looking at the way they are built though and watching a video (https://youtu.be/oRyVb-cCZuk) on them, I really doubt they will break down anytime soon. For more information, please visit //www.keenfootwear.com/.